We love Moe's. 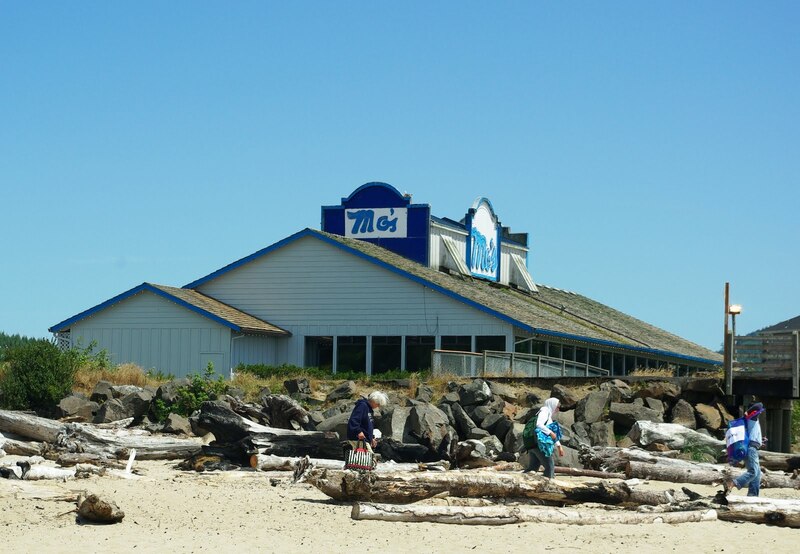 Now, when you say that in Oregon, people say - "we love Mo's too." We're talking about two different places. Don't get me wrong - they're both good and have food we really enjoy...but Moe's (with an E) is a longtime favorite of our family. or somewhere else. And Kaylee's mouth starts to water any time we mention heading to the coast with the high hopes that the yummy goodness that a bowl (not just a cup) is, and how she doesn't want to share with anyone else. I don't blameher. It's good. What also is good about Mo's is that typically we are with people we truly care about. 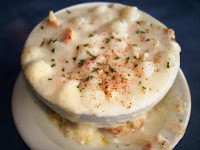 It could be our family who comes to visit, or those who are like family (technically you'd call them friends), and never ever is there a dull moment or a lull in conversation (except when our mouths are full of chowder - personally, I get a cup of chowder and get the fish n' chips (halibut) - YUM! 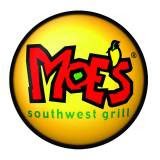 of my favorite parts of Moe's is that when you walk in the door the employees call out "Welcome to Moe's" and I honestly think they are the ones who started this now more popular tradition. I liken it to when Norm would walk into Cheers (if you can remember that one). It's like you belong. And they may not know my name, but I know theirs, and I know it's gonna be GOOD!!! If you're in Atlanta, Moe's is all over the place!! Go!!! And if you're in Oregon - we have ONE! Just one!! So GO!! It's in Wilsonville - the same exit as the Target & Costco (in the strip with Subway). I just love it. I do. in his room and I went back to check on him. 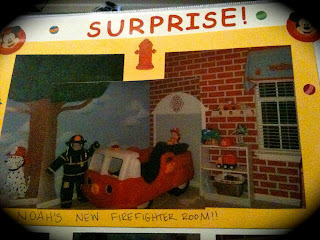 I quietly open the door to see him standing ON TOP of the cab of the firetruck bed brandishing a foam sword (he was loving pirate stuff then too) calling out at the top of his lungs "Welcome to Moe's...uh-oh". He thought he was caught doing something wrong. I was in such hysterics because it was so stinkin' cute...it just didn't matter. Sure, I made him get down, but for life when they say "welcome to Moes" I picture my little man so cute, small and proud standing at the top of his bed fully embracing his imagination and having the time of his life. I can think of lots of other places that are favorite places to eat...and almost always (to the chagrin of the restaurant) it's much more about the experience than just the food. Oh Steve and I have plenty of bad restaurant experiences (almost always bad on anniversary dates, or just regular dates - it's pretty humorous), but those places that feel like home are just as much about who we've gone there with, or where we went there from, or where we were headed...in addition to the food. So, add to the list (as crazy as it will sound to some of you) - Chick-fil-A!! (OK, the food there is fab too! ), Waffle House, The Lime Inn (amazing food), and of course... Moes! 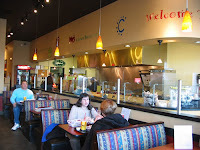 What food place brings out great memories for you?? It was great fun hanging with you guys there today and the water park! I would add Spiced Right and Chipotle to that list!